General Hospital (GH) spoilers tease that a jailhouse wedding may be on the way! Franco Baldwin (Roger Howarth) has landed in hot water, which means he’ll be feeling awfully blue by the time Valentine’s Day rolls around. Jordan Ashford (Briana Nicole Henry) and Harrison Chase (Josh Swickard) seem convinced that Franco is guilty, so the arrest in the serial killer case was inevitable. Franco simply meant he could never erase the mistakes of the past, but Ava may not view it that way in retrospect. Regardless, there’s one person who’ll remain firmly in Franco’s corner. She’ll even do something amazing to prove it! General Hospital spoilers say Elizabeth Webber’s (Rebecca Herbst) faith in Franco won’t be shaken. She’ll insist that he couldn’t have murdered Kiki or anyone else – not now anyway. Franco isn’t the same man he used to be. Elizabeth will want Franco to know just how much she believes in his innocence. It looks like Liz will be willing to marry Franco to show her support, so that bring us to the jailhouse wedding we mentioned. 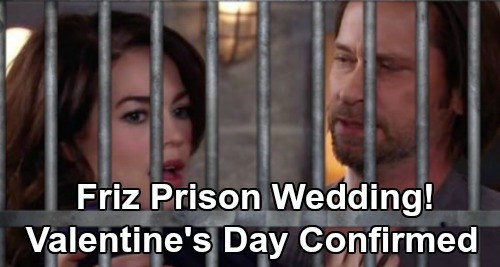 A reliable GH insider reveals that Liz and Franco will tie the knot while he’s in lockup. 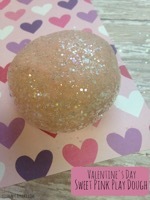 That lines up with previous Valentine’s Day preview info about some spontaneous nuptials. Some GH fans may be disappointed since Franco and Liz aren’t taking the typical wedding route, but there are some pros to this scenario, too. It’s awfully romantic for Liz to go this far to show Franco she trusts him. Plus, Franco and Elizabeth’s first wedding attempt was a disaster. Their second attempt never even happened due to Kiki’s murder aftermath. Perhaps a quick, private ceremony like this is the best option for Liz and Franco. Are you excited to see what the future holds for Friz and their family? General Hospital spoilers say some great drama’s ahead, so stay tuned. We’ll give you updates as other GH news comes in. Stick with the ABC soap and don’t forget to check CDL often for the latest General Hospital spoilers, updates and news. General Hospital Spoilers: Michael’s Plot to Bring Down Margaux Creates Spark – Surprising Couple Brings Complications for Sonny?